The Alexan CityCentre living experience extends far beyond your front door. Your new community is loaded with all the conveniences you need to help you manage your busy lifestyle while still finding time to kick back and relax. Alexan CityCentre is an ideally located community that gives residents access to the best shopping, dining, events and entertainment in West Houston. You’ll love entertaining guests in the CityCentre area then bringing them back for even more luxury at Alexan CityCentre. Our community offers residents more than a luxurious apartment home. You won’t have to leave Alexan CityCentre to take fitness classes, take your pet to the spa, or enjoy an evening of private dining. Plus, we offer residents the opportunity to spend those hot Houston summer days lounging by a resort-inspired infinity pool. The crown jewel of the Alexan CityCentre is our sparkling infinity pool that makes apartment living seem like a vacation in the tropics. Here, you can host your friends for long weekend afternoons poolside, or bring your favorite novel to your favorite deck chair for a long lazy day of tanning. If the pool isn’t your scene, you can spend some time in the comfortable seating available in the private gazebo. At Alexan CityCentre, everyone can find place to relax. Enjoying where you live is a hallmark of a true happiness. You know the degree of luxury you deserve, and you’ll find it here at Alexan CityCentre luxury apartments in West Houston. 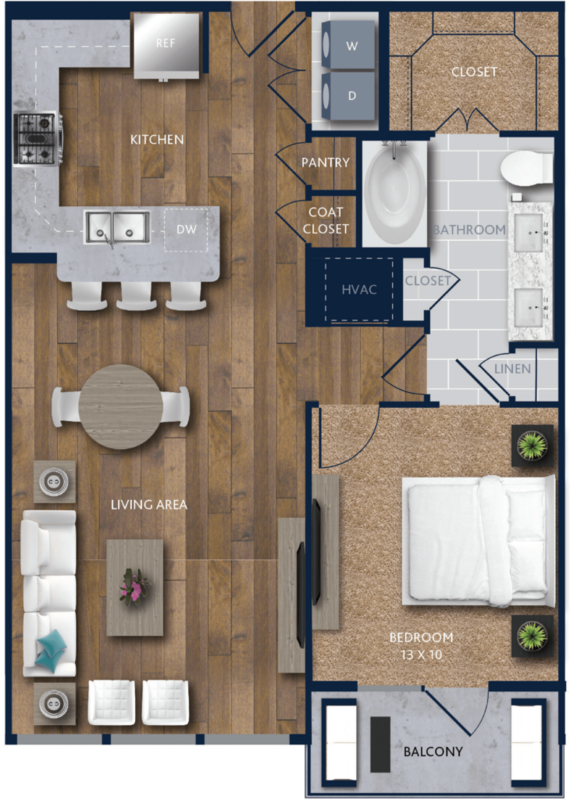 Our residents love being to experience the unique, convenient city amenities that this location provides. When you’ve had enough of the bustling city of Houston, we offer a relaxing environment to come home to at the end of the day. 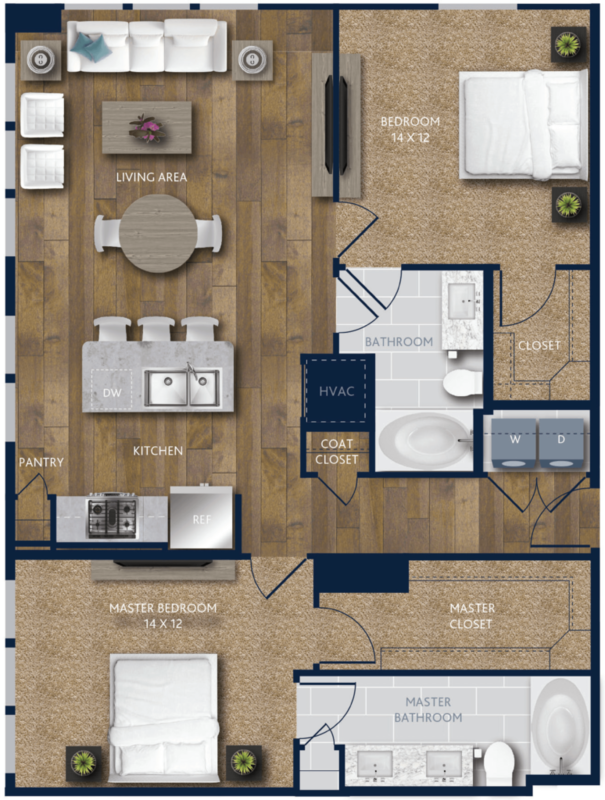 Our apartment homes include all the finishes that luxury renters expect, and more. Each home is adorned with brushed nickel fixtures and updated with Nest thermostats and Sonos technology packages. In select homes, residents can enjoy hardwood grain style flooring, wine refrigerators and standalone showers. Some of Houston’s finest restaurants are located just beyond the walls of our community, but you may find yourself staying in more and more as you enjoy the spacious kitchen and top-tier appliances at your Alexan CityCentre home, whether you’re spending the night solo or entertaining guests for an evening. When you live at the Energy Corridor apartments Houston residents prefer, you enjoy individual apartment and community amenities designed for your personal enjoyment. The added benefit of living in a modern, bustling metropolis is a perk few get to enjoy. Come home to Alexan CityCentre, where no detail has been overlooked. At Alexan CityCentre apartments in West Houston, we hold some simple beliefs about luxury living. We believe our residents should be able to live where they deserve to live. We believe your residence should not only help you manage the busy lifestyle that you lead, but also represent the elevated standards you know you deserve. We believe that luxury living means a premier location in addition to a comfortable apartment home. Your Alexan CityCentre apartment home combines detailed appointments with exclusive amenities to create an environment that’s worth coming home to. These are the Energy Corridor apartments Houston residents choose for professional design, contemporary aesthetic and luxury apartment living. The result is the Alexan CityCentre living experience — a rewarding lifestyle that exceeds expectation at every turn. It’s not just about your beautiful apartment home, or the amenity-rich environment outside your front door. Here, it’s about the complete CityCentre lifestyle. Welcome to the West Houston apartments that are uncompromising. Welcome to an apartment home that is unique. Welcome to a luxury apartment living that is unparalleled.